This feels so surreal, Chen Mo thought to himself. In one hand, he was holding a gun—a gun that he had just used to take another’s life—while in the other hand, he was holding a girl who was pure and beautiful—a clean girl who probably never imagined that she would see killing and death in her life. He thought these kinds of things only ever happened in those dust-covered fairy tales that have been lost with the passing of time—something that only ever happened in other people’s stories. Suddenly, the same emotions he had read about in these very stories began to appear in his own life. Like shy flowers, they grew in the corners of his heart, where they remained unnoticed until they bloomed. Being in love is when when you’re willing to do things for a special person that you wouldn’t normally do for anyone else. The earliest, most gentle, and happiest memories in our life are always sweet. I want you to belong only to me, to gather you up into a safe little box that I can carry close to my heart. At first, we didn’t understand what love is. We never knew how to love another person. Love was always this great mystery that we would fantasize about in our loneliness. We thought that love would be just like lightning and thunder, a violent and furious storm. We did a lot for each other and made many demands. We had to suffer through anger, heartbreak, happiness as well as pain, only to realize that love is not what we imagined it to be. Part 4: My heart! It aches! Part 6: I love you, so will you come back? 武警支队的驻地 – Armed Police Detachment Station – Where Chen Mo works. 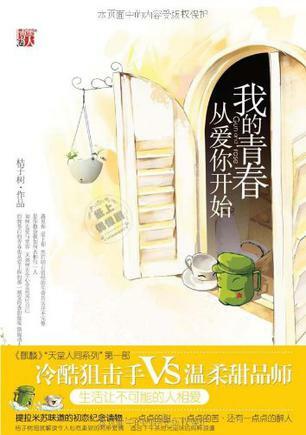 人间 – Earth (Café) – A cafe where Miao Yuan works. Prosperity & Fortune Restaurant – an actual restaurant in Xi’an famous for its paomo. Paomo – a hot stew of chopped-up steamed leavened bread or steamed buns (known regionally as mo or mantou, cooked in lamb broth and served with lamb meat. Kekeke~ almost all of the comment will be back on December. Maybe I should too? But I&apos;m quite hooked up with the summary. What do ah?! I&apos;ll come back for you this Christmas, cause acc to my calculations this will be completely translated by then by then!! By my calculations, it should be done by then too! Oh what a sweet-sounding title.